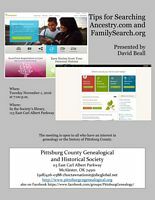 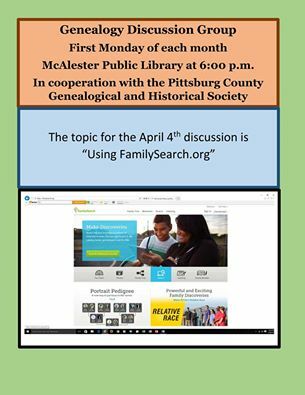 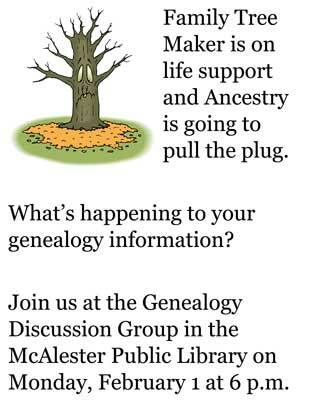 The Society in cooperation with the McAlester Public Library is starting a genealogy research group that meets the first Monday, 6 p.m. at the McAlester Public Library. 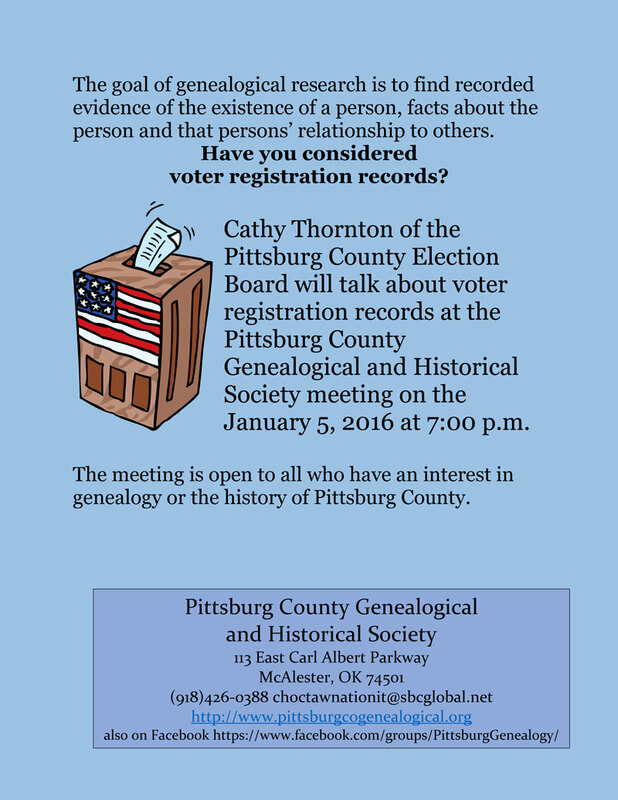 What can you find in voter registration records? presented by Cathy Thornton of the Pittsburg County Election Board. 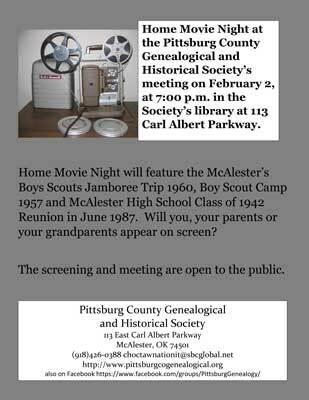 Home Movie Night featuring a recently donated collection. 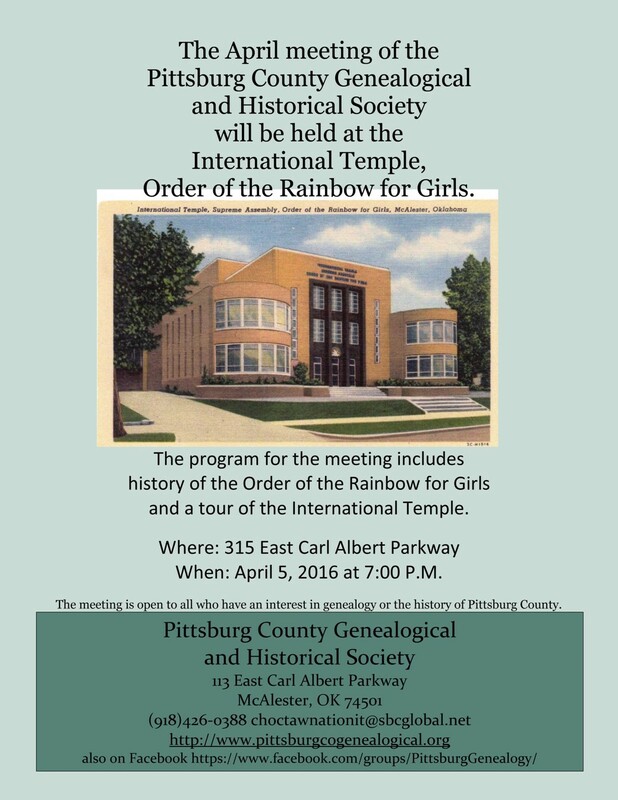 The collection contains several movies of local Boy Scout activities. 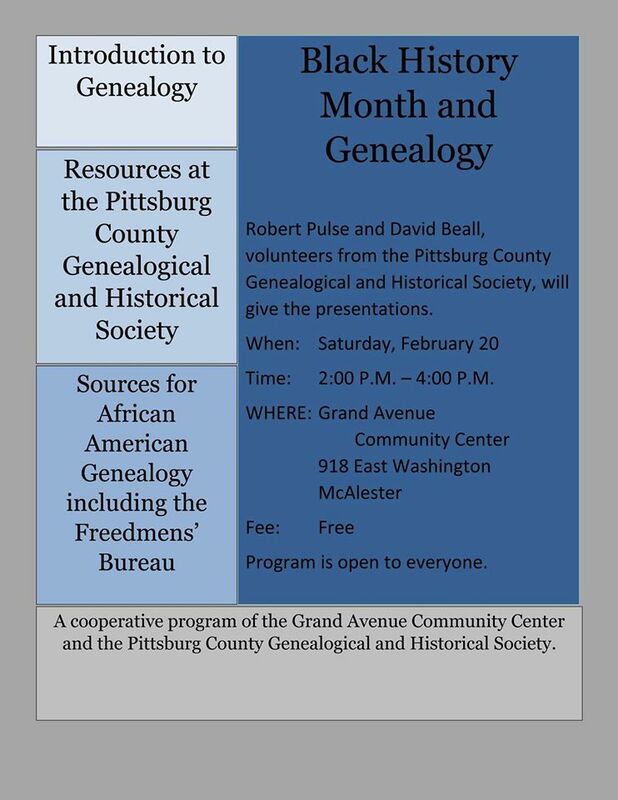 2:00 P.M - 4:00 PM? 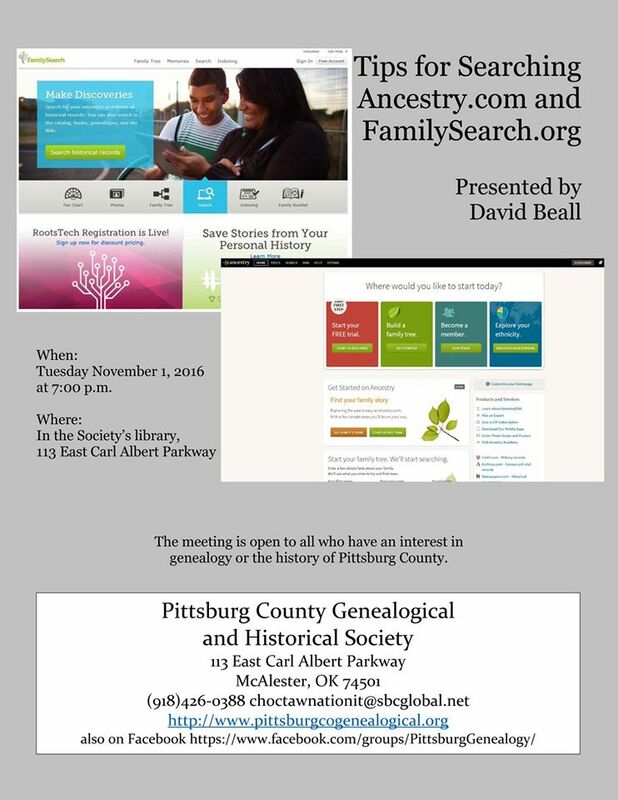 To: be covered: Dawes, Freedmen (two definations), Web site tools and Face Book Networking. 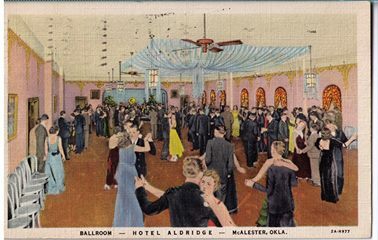 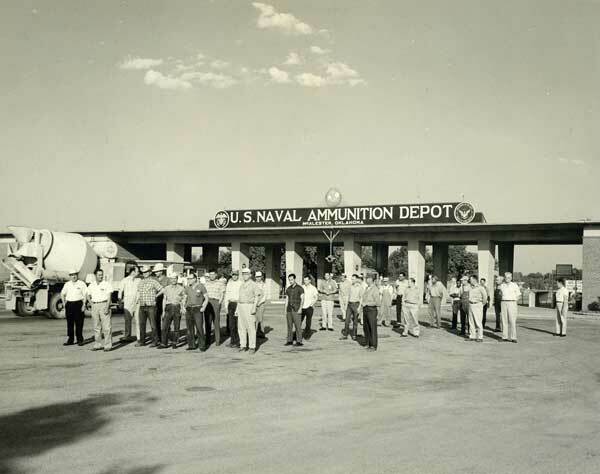 9:00 A. M. to 5:00 P. M.
The History of the McAlester Army Ammunition Plant by Brian Lott, Chief of Staff at MCAAP. 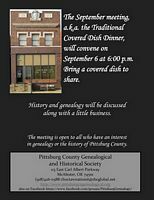 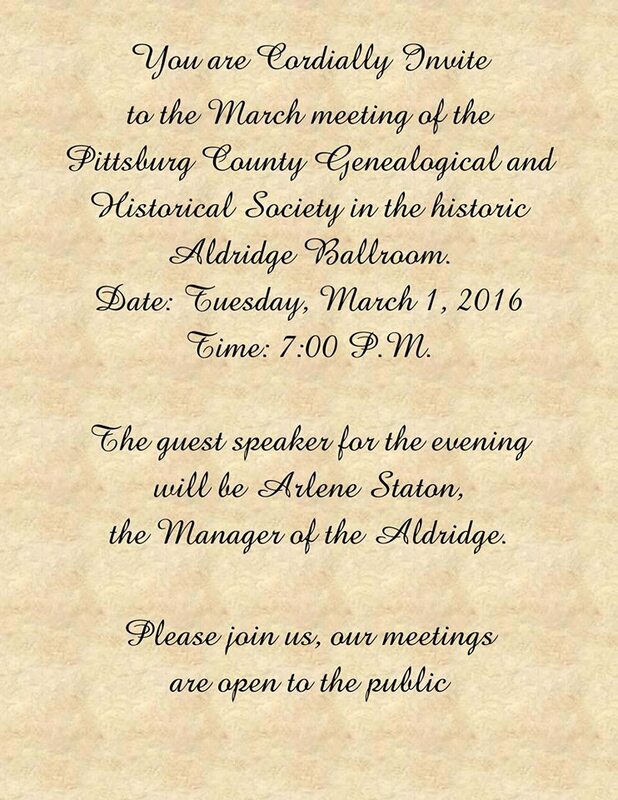 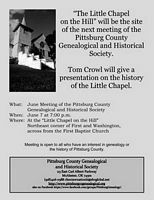 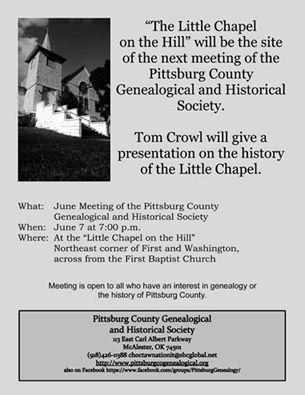 The presentation will include a selection of historic photographs. 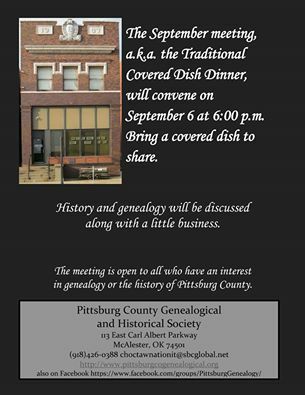 Bring a covered dish and bring a gift (white elephant or practical) for the Sneaky Santa exchanged.